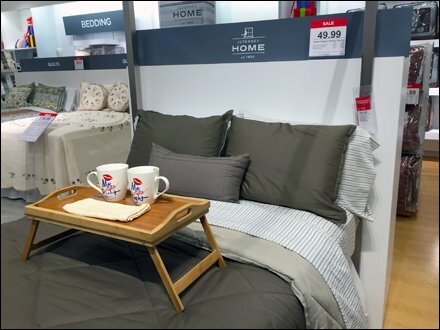 JCPenney® conveys the cozy comfort of morning coffee in bed, accurate down to the Pfaltzgraff® coffee cups. The warmth of the moment spills over into the feel for the bed linens on display. I am not sure if the twin “Mrs Right” cups work because few men shop for bedding, or if JCPenney recognized the possibility of twin mom households. In any case CLICK through the gallery zooms to see the Pfaltzgraff® branding at the micro level. 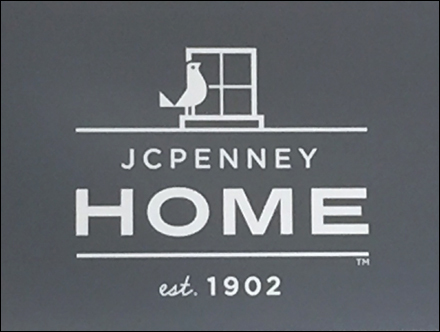 Macro branding is portrayed in the thumbnail to the right … JCPenney Home.